Aggressive poker players tend to bluff a lot, and they are also known to raise frequently. To inexperienced players, these people might seem to consistently be winning. However, in the long run, such aggressive players end up losing a lot of money. When playing with such people, you should never feel intimidated. Instead, you should call their raises and avoid folding, unless it is extremely necessary. Regardless of their confident facade, there is always a good chance that they are about to lose huge sums of money. Basic players may either be new to the game or just bad at the game. Some basic players will improve as they spend more time playing poker, but others will be noobs forever. These players are blessings to all experienced players as they are almost certainly going to lose the hand. When they call, you can be sure they have a strong hand, and when they fold, they definitely have a weak hand. Their knowledge of poker is limited, and many are just aware that it involves cards. The only way a basic player can win in a game of poker is if they are extremely lucky. Some players are too scared to lose their hard earned money. At the same time, they are ready to raise and re-raise when they have reasonable chances of winning. Such players are easily predictable. You can note such players when they fold. In future sessions with the player, you will be able to tell how strong their hand is when you watch their actions. Many of them are also unable to hide their tension and fear because they are very scared of losing money. With such players, the non-verbal cues will give you all the information you need. Some people learn how to play poker on the streets, and others learn the game through books. Reading about poker can be highly beneficial and will give you insight into the tips used by some great players. In the casino, a player who learned the game through reading can be identified by their simple and straightforward gameplay. They do not seem to engage in any sort of bluffing, but in the long run, they usually make a profit. Some people are gifted in the game of poker. They may not have played the game for many years, but they are able to tell how strong your hand is by watching your movements. They don’t bluff unnecessarily, and when they do, they can be very convincing. They will usually approach the game professionally, meaning they don’t carry positive or negative emotions. These players can be very hard to deal with, and your best bet would be to leave the table as soon as you can. The other type of poker player is the technique player. People in this group are known to spend their time on the table building a winning hand. They focus too little on the social aspect of the game, and that makes them easily predictable. Such players apply great poker tips and strategies, but they are still very inexperienced in acting and reading people. Your poker personality can limit your chances of winning in a game, particularly if it makes you easily predictable. There are six types of poker players. They include the basic player, the aggressive player, the technique player, the aggressive but tight-fisted player, the book smart player, and the skilled mind reader. You can use the information in this article to determine your poker personality and the weaknesses in your gameplay. You should also observe your opponents carefully as their poker personalities can give you insight into their weaknesses. This can also help you determine the best way of tackling them. Comments Off on There’s No Horsing around When it Comes to Your H.O.R.S.E Poker Skills! There are many variations of poker. Many of these variations are largely unknown, and these games are usually the easiest to beat. If you want to get a feel of some of the more popular poker games, you can consider playing HORSE poker. This game is regarded as the ultimate casino game of skill. It combines Texas Hold’em, Omaha Hi, Razz 7-card stud low, Stud 7 card stud high, and Eight-or-Better. The name of the game is an acronym of these five games. This mixed game poker can be played in traditional casinos, live dealer casinos, or just regular online gambling sites. Each of the poker variations is played for one complete rotation. The games are played in this order: Hold’em, Omaha poker, Razz, Stud, and finally Eight-or-Better. The dealer will place a card with the current game on top of the table, and they will even inform you when the game changes. In poker online sites, you can tell when a new game starts by checking the top of the screen. The casinos usually list the current game on the screen. If you are alert, you will also be able to tell when the dealer suddenly gives you a different number of cards. For example, if you get seven cards, you can conclude that the game has shifted from Omaha poker to Razz. Usually, each game should only complete one rotation. However, the dealer can decide to keep a single game going for a set amount of time. In HORSE poker tournaments, the game shifts every time the blind levels change. When the blind level changes in the game of Eights-or-Better, the game will switch back to Texas Hold’em. It is important to note that HORSE poker games have fixed limits. This means the amount of bets and increases in each round is fixed. If you do not have enough chips to take your intended betting action, you will have to simply go all-in for your remaining chips. Many players are familiar with this poker variation. In this game, two cards are dealt face down to each player, and five more cards are dealt face up in three stages. Most people are used to playing this game in the no-limit format, but in this case, you will have to play it in fixed limit format. This game is also very popular among poker players. You will be dealt four hole cards, and you have to use them to create the best 5-card hand. In the game, you will be able to use five community cards to create your best hand. In Razz poker, you will receive seven cards, and out of these, you have to select the five lowest-ranking cards. Your goal here is to get the lowest value of cards. Aces count as low cards, meaning the lowest possible combination you can get is A-2-3-4-5. This game is played just like Razz poker, but your goal here is to get the highest ranking set of cards. Players get seven cards and have to get their best 5-card hand. In this game, players aspire to get the lowest possible combination or the highest possible hand. This is why the game is sometimes referred to as Hi-Lo or High-Low poker. The player who gets the highest-value hand will win half the pot, and the one who gets the lowest-value hand will win the other half. The player with the lowest hand should not have a card that is greater than 8. If no player qualifies for the lowest hand, the person with the highest hand wins the entire pot. HORSE poker involves many popular poker variations. These include Texas Hold’em, Omaha poker, Razz poker, seven card stud poker, and eights-or-better. You should spend time researching these games before getting into a paid tournament. If you don’t have much experience in any of the games, you should follow the fundamental poker strategies. For example, it is inadvisable to make bluffs unnecessarily. When possible, you should also play in position. You will find it advantageous to play aggressively as this will put pressure on your opponents and force them to make poor decisions. If you’re still learning how to play poker like a champion, you may want to consider hiring a poker coach to give you some personalized poker lessons! Sure enough, learning how to play poker is only the beginning of your journey… if you’re serious about dominating poker tables and turning a profit, you need to practice hard and sharpen your smarts. For anyone who is wondering what is a poker coach, the answer is simple: it’s someone with experience in tutoring new players and help them improve their competitive edge. There is a surprisingly diversity of poker lessons for beginners available on the Internet, and if that sounds like something you may be interested in, this article will give you a useful overview of the matter. 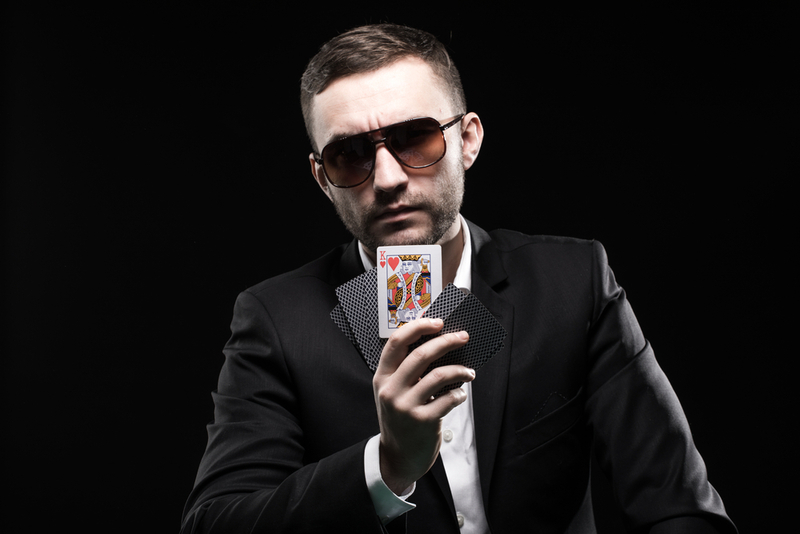 Read on and learn how to pick a reliable poker coach that will help you brush up your poker skills and advance faster that you ever thought possible in this fun game of card matching and people reading. Learning how to play poker is only the beginning of your journey! Do you dream of dominating poker tables and consistently turning in a profit no matter where you play and who you play against? Then you need to get serious about really brushing up on your skills and going beyond the basics. Learning how to play poker is easy enough, but to become a force to be reckoned with, you will have to go beyond the basics. That’s where getting some poker lessons may turn out to be a solid investment that may pay for itself handsomely in time. Getting poker lessons is not the right call for every player. You should make sure you are already a competent player who is familiar with the rules of the game, since no poker coach can do that work for you. Only once you have a solid grasp on the basics will you have a chance to really benefit from tutoring that will take you from being an adequate player to being a poker powerhouse that playfully throws chips at the table and skillfully collets the pot more often than not. While it’s not reasonable to think you will absolutely be able to make a living from poker, you can reasonably expect to improve your bottom line by working to improve your game! To that effect, you can either spend endless hours figuring out the subtle aspects or poker, or you can rely on the advice of someone who is farther ahead in the game. 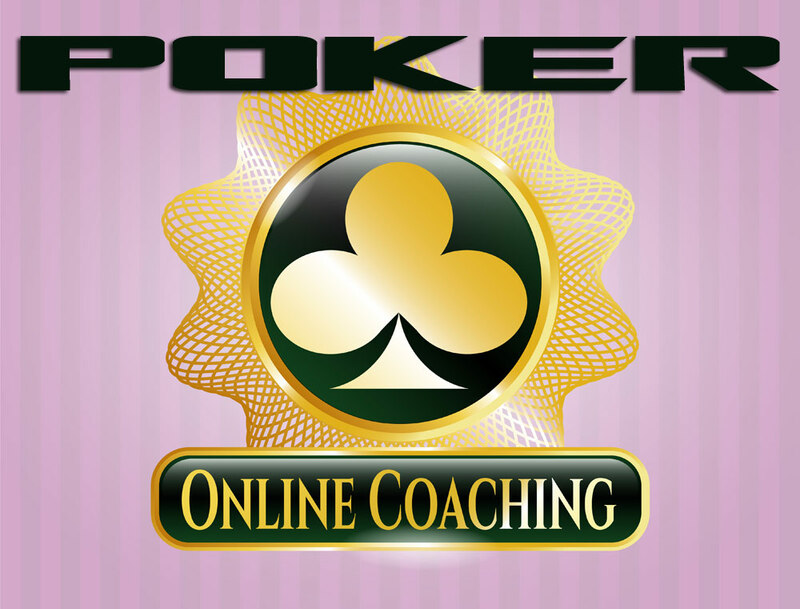 What is a poker coach, and why should you consider getting one? Poker coaches are typically players with many years of expertise in the game and a proven track record in terms of getting positive results. Whenever you’re considering hiring a poker coach, you should make sure to ask about their experience and track record, even more so than their certifications as a tutor. That’s simply because certifications are much easier to get than real world experience as an actual poker player who knows how to dominate a table effortlessly. 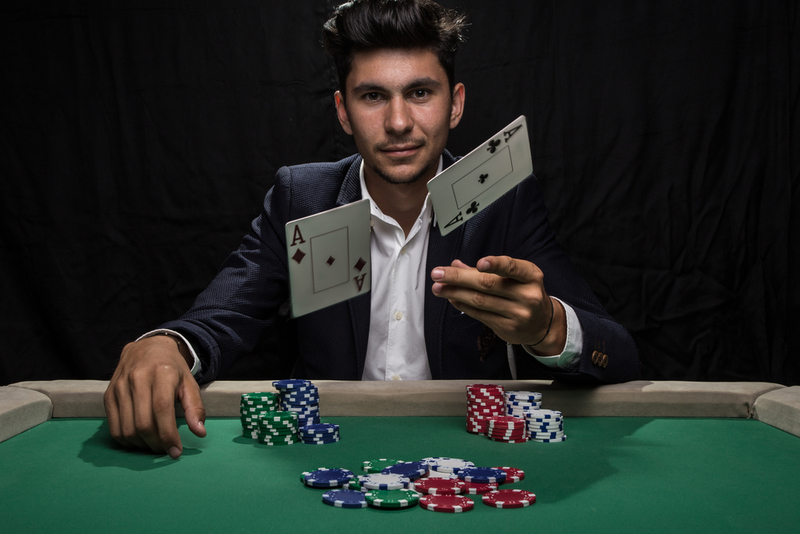 Everyone can claim to offer the best poker lessons for beginners, but you need to look at actual proof; and the best proof, as they say, is in the pudding – so we recommend that you focus on the proven expertise of a poker coach as well as the testimonials and experiences of previous pupils. It takes a special skillset to be good a poker as well as good at teaching, but thanks to the Internet it’s now easier than ever to connect with real professionals who will truly help you progress at a steady pace in your quest to increase your poker playing skills. If you’re seriously looking for some effective poker lessons for beginners, we can help you connect with the right tutors. Just remember that you will make a better investment if you seek tutoring only after you’ve conquered the basics of the game. To that effect, we have hundreds of articles available in our archives covering every aspect of poker and other casino games. From the very basics such as learning the rules of the game and having a solid grasp on poker hand rankings, to more advanced considerations such as understanding the difference between loose vs tight play styles or aggressive vs passive, we have extensive information freely available to you right here. Today is the day when you will make a leap to becoming a better poker player; the door is now opened to you, but will you step in? Poker is just as much a game as it is an art form. The ability to build up a sound strategy will make all of the difference in the world between a rewarding experience and a consistent state of frustration. Omaha poker is arguably the most common variant and it is popular within many online casino rooms. If you ever expect to rise above your competition, it is critical to understand the basic rules associated with Omaha Hold’em poker. Still, it is equally wise to pick up some expert tips along the way. We will cover both of these points within this article so that you can become fully immersed within such an exciting game. 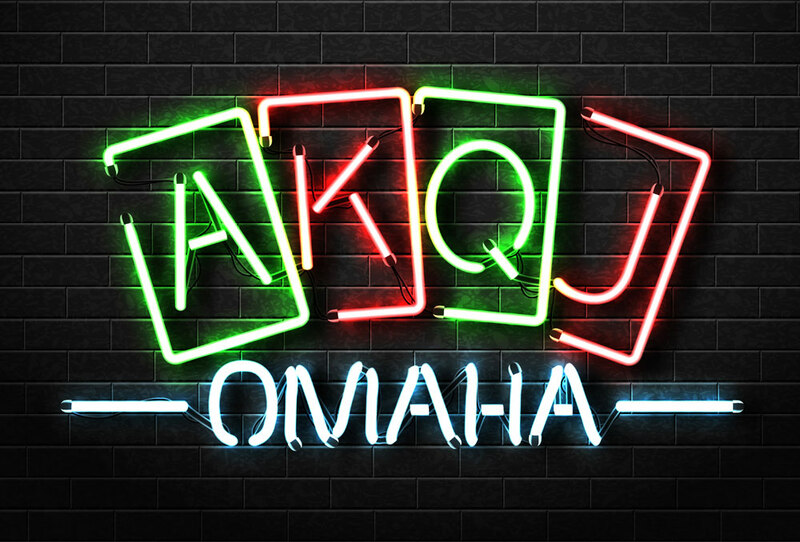 The main goal behind Omaha poker is to create the most powerful hand using the cards that have been dealt. Each player will be given nine cards (five community cards and four “hole” cards). From this selection, he or she must aim to develop the best combination. The key is that they will need to choose from three community cards and two hole cards (five cards in total). These rules are just as applicable in relation to Omaha hold’em online as they are when referring to a game within a physical casino. 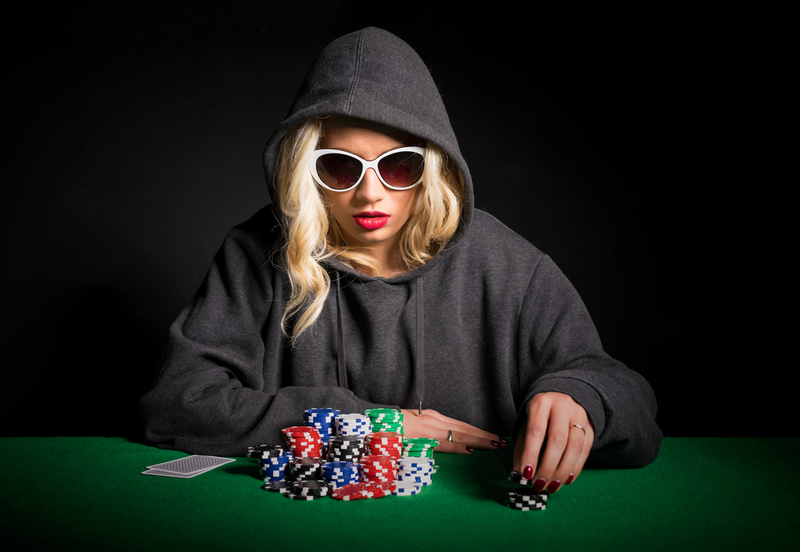 Omaha Hold’Em Poker: What Actions Can the Player Take? Going all-in is associated with a no-limits game or in the event that the player does not possess a sufficient number of chips to perform other actions such as a raise or a call. In this case, all of the chips will be placed near the pot (but not in the pot). In the event of a win, every other player will offer up an equal value of his or her chips to the victor. Those who fold will forfeit all of the chips that may have already been placed into the pot (not the chips that the player still holds). Those who feel that they have a good hand can choose to raise. A raise is associated with placing an additional amount of chips into the pot. Competitors will be forced to do the same and if not, they must fold their hand. A call is placed in order to match a previous bet within the round. Calling is often performed in order to determine the potential strength of weakness of another player’s position. A bet occurs any time that a player places chips into the pot. Please keep in mind that this is known as the “big blind” during the first round. Finally, players have the option to check if no one has placed a bet within the current round. In other words, no additional wager will be sent to the pot but the player will still have the opportunity to remain within the game. Checking is not possible during the first round due to the fact that players will need to match the big blind. In order to win at Omaha Hold’em online, there are a handful of fundamental suggestions to keep in mind. Those who are just starting out should always play a tight game so that they will be able to make the nuts (the strongest possible hand) within a given round. A conservative approach is best when learning how to play Omaha poker. Never become overcome by the allure of aces. Unlike some other card games, Omaha hold’em poker is not known for winning with pairs during the showdown. It is therefore a much better option to try to combine an ace with other face cards as opposed to holding out for the remaining aces that could (possibly) be in the deck. Get used to swings when playing Omaha and avoid going into the tilt. Losses can and will occur. It is difficult to predict what may transpire between one round and the next. Keep a level head and always look at the bigger picture. Learning Omaha hold’em rules is not necessarily difficult. However, it will still take time for your to develop a sound strategy, so always be patient. Online poker can be a great deal of fun and if you “play your cards” right, you could very well enjoy handsome winnings within a short period of time. Many articles referencing online poker tips involve strategies, gameplay and similar methods to enhance your current skills. 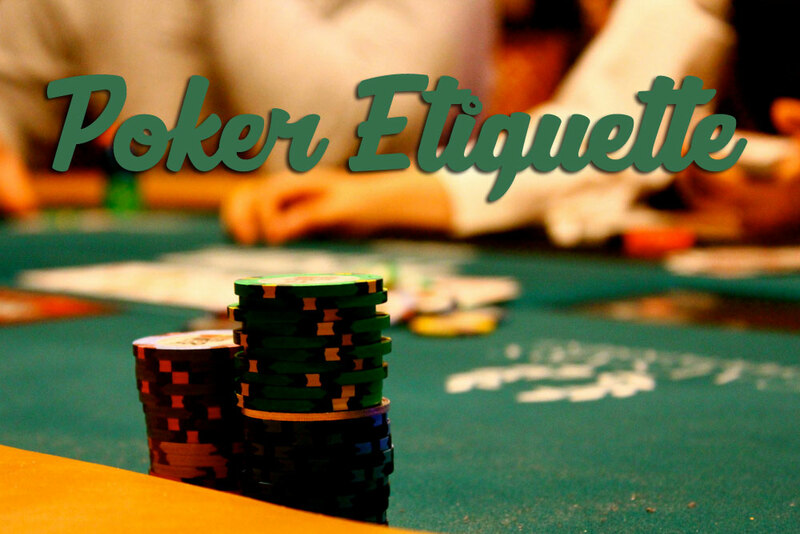 However, it is just as important to remember that poker etiquette plays a very important role. After all, simply because you are playing anonymously from the comfort of your own home does not signify that you can be rude to others. Let us take an in-depth look at a handful of expert suggestions as well as how they can enhance your overall experience. Players can and will make mistakes from time to time. However, this is no reason to berate a competitor over a bad call or a poor decision. Try to place yourself in their shoes. Would you prefer a bit of constructive criticism or a biting attack that might turn you off to the website entirely? Sometimes referred to as “tapping the glass”, this approach must be avoided at all costs. The online poker environment should be fun and supportive. Let’s also not forget that some portals will ban players for such ill-tempered actions. One of the reasons why poker fans choose online portals arises from the fact that the majority offer fast-paced action. This is why another one of the most relevant poker tips involves keeping up the momentum of the hand. This is not necessarily to say that you should rush an important decision. On the contrary, take your time when examining your options. Try to imagine yourself at a live table. What is the appropriate window for committing to a specific action? Embrace this same perspective when playing the online variant. If you delay your actions, other will become frustrated and some players might even leave the round entirely. No one likes a competitor who drags his or her feet. In truth, there can be times when such an action is justified. The most common situation is if you are competing with a player who has been particularly rude or who has performed the same actions. It is nonetheless a good idea to avoid this practice. Slow rolling can quickly incense others and lead to heated gameplay that is otherwise not necessary. If you have come to a final decision, put it into action. This also ensures that individual rounds will not take an inordinate amount of time; important if you hope to leverage the fluid nature of online poker. Emotions can be the worst enemy of any player if they are allowed to overtake logic; particularly if these feelings are negative. Not only should you refrain from using profanities and other forms of online aggression, but you need to know when to call it quits. If you have become irate or overly frustrated, it is much better to take a breath and to return to the table at a later date. A bit of relaxation will go a long way. Acting out of turn is one of those rules of poker which should not have to be emphasised and yet, some players jump ahead as opposed to adhering to the standard clockwise order. There are two main issues with this. Such an action might encourage others to do the same. Perhaps more importantly, acting out of turn can give specific players an unfair advantage (particularly if they know that they possess a winning hand). Be courteous and maintain your patience. The pot is not likely to disappear. In terms of relevant online poker tips, one overlooked area revolves around what should (and should not) be done after a hand. Some players will lament at their string of luck and place a phrase within the chat forum such as “I cannot believe that I lost an ace and a king”. Never forget that this could give others a distinct advantage that would have not otherwise been possible (such as a player forming two pair). Keep your thoughts to yourself. 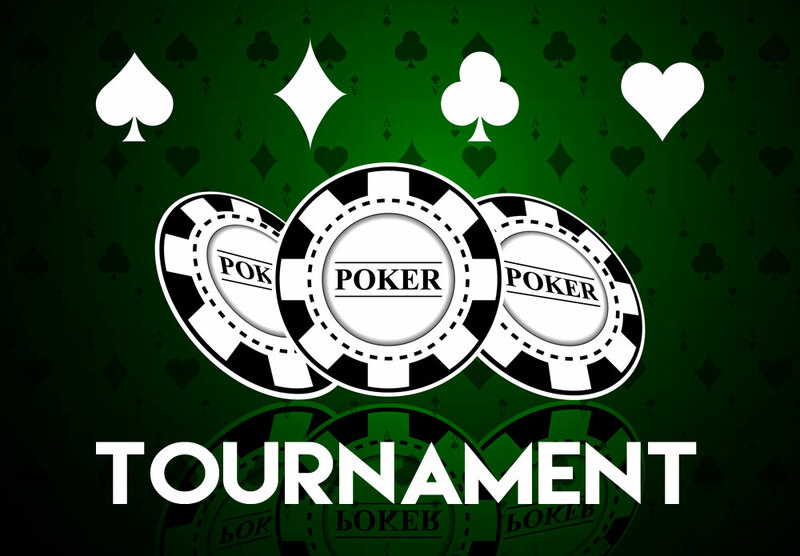 Although these poker tips might seem rather intuitive, they are still important to mention. Developing courteous and intuitive habits early on is the best way to enjoy what this amazing game has to offer. As soon as you start to get into it, you realise that there isn’t really a game called “poker”. Poker is a bunch of different games with quite different rules. When you go to play online poker, you need to know which games are worth investing your time in. 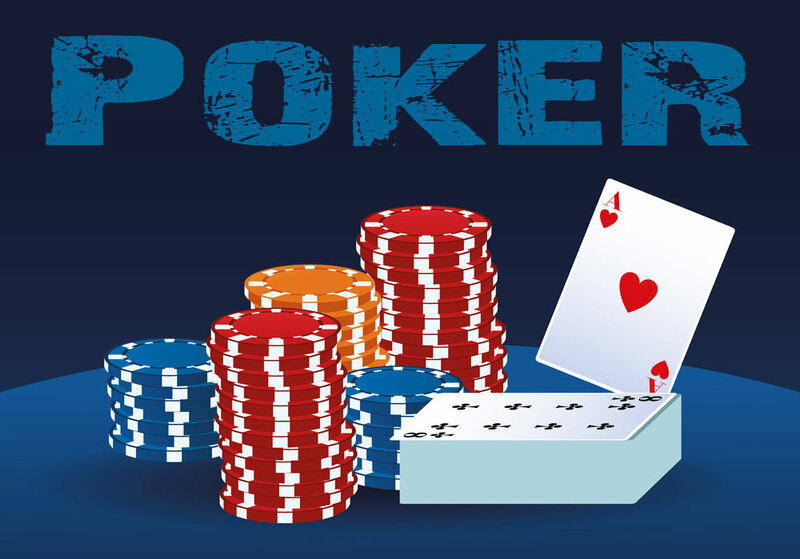 Here, we discuss the best kinds of poker for the avid player to try. Texas Holdem is the classic variant that most people think of when they think of poker. In Texas Holdem, each player is dealt two cards face down. Players look at their cards and may choose to either fold, bet (if they are first to go), match the previous player’s bet, or raise the stake. After each player has made their choice, three communal cards are placed in the middle of the table. Assuming at least two players are left, there is a second round of betting, before a fourth communal card is placed in the middle of the table. After a final round of betting, the fifth and final communal card is dealt. The winner is then the player who can make the strongest five card hand with any cards out of their two personal cards and the five communal cards. Seven Card Stud is another very popular form of poker that you’ll find at every online casino. At the beginning, each player is dealt one card face up and two cards face down. The player with the lowest ranked face up card is forced to bet first. Betting then goes around the table clockwise. A second face up card is then dealt to each player. This time the player with the highest ranking face up cards is required to bet first, before betting again goes clockwise around the table. This same pattern is repeated with a face up card being dealt to each player, and the player with the best face up hand betting first, until seven cards have been dealt to each player who hasn’t yet folded. Sometimes if no-one folds before the last round it is possible to run out of cards. In which case the last card is placed in the middle of the table and becomes a communal seventh card for all players. The winner is the player who can make the best five card poker hand from the several cards he or she has been dealt. Omaha, also called Omaha Holdem, is similar to Texas Holdem but with some added complication in the way that players form a winning hand. There is some ambiguity about exactly what Omaha is; the most common form, the one described here, is called Omaha high. Dealing and betting in Omaha goes basically the same as in Texas Holdem. The first difference is that each player gets four face down cards instead of just two. The second and most intriguing difference is that each player must form their final five card hand with exactly three of the cards in the middle and exactly two of their own face down cards. As you can imagine, the complicated rules for forming your hand make Omaha more challenging than the more common forms of poker. It is maybe not the best game for beginners, but is a great change for avid players looking to spice things up a bit. Razz is the same as Seven Card Stud, except the lowest ranking five card hand is the winner. Five card draw is perhaps the simplest form of poker. Each player is dealt five face down cards. They then bet, after which they can swap some of their cards (generally not more than three) for replacements from the deck. There is a second round of betting, followed by the reveal. Despite its simplicity, five card draw is quite difficult because no other player’s cards are visible to you at any time. Mixed poker variants combine several different forms in one game. 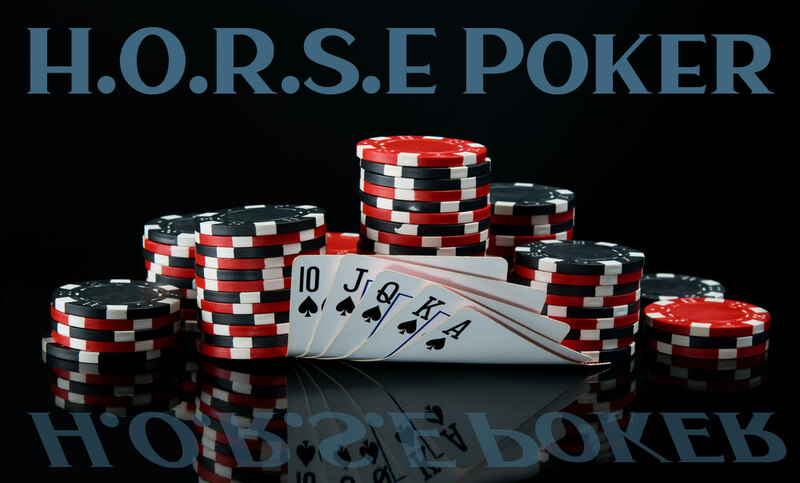 The most common and most complex of these is H.O.R.S.E which is a mixture of Texas hold ’em, Omaha high low, Razz, Seven card stud and Seven Card Stud Eight or better. Now you know a range of different kinds of poker and rules to play, you can try them online and find which suits you best. Before you jump in, make sure to look for some first rate online poker tips. Texas Hold’em is a game of strategy, intuition and psychology. Only the best players will be able to master all three of these talents and yet, there always seems to be something else to learn. This is the reason why films have never done such a method its true justice. In order to become the best, one has to learn from the best. One of the most effective and powerful methods to increase your chances of winning a hand is to employ a technique known as the check-raise. However, there are some misconceptions associated with this method. This is why it is crucial to take a closer look at how it can executed as well as a handful of its main strengths. In order to know when to check-raise, it is first a good idea to fully understand the basic concept. Check-raising essentially involves one player checking the actions of another opponent. The player then raises after the opponent has placed a bet. This is a highly psychological strategy, as it causes others to believe that the player may have a stronger hand than what is actually present (the finale of the film Good Will Hunting is an example of this strategy). So, how can a check-raise in poker be employed during gameplay? It is always important to have a good idea of what the opponent may be holding. This will involve appreciating their past playing history, any potential tells and how often they are likely to bet after being checked. The first important takeaway point is that it is never a good idea to check-raise if you feel that the opponent has an unbeatable hand. However, this is often wise if you believe that no hand or only small pairs are present. The second primary concern is the size of the pot. Most experts believe that a check-raise in poker should only take place when the pot is relatively small. Larger pots can cause unpredictable behaviour and cloud judgement; leading to potentially poor decisions being made. Of course, you must first check before a raise can occur, so it is only possible when you are no longer in order. A check-raise in poker is one of the most powerful bluffing mechanisms in existence. This is actually why some tables forbid it entirely. However, a bluff is only as effective as how it is employed. In the majority of cases, any check-raise should represent twice the value of the bet that a previous opponent has made. The reason for this is rather simple. A smaller value will is not likely to have much impact upon the strategy of the other player. However, larger check-raises will cause them to think twice about paying back in. They will hesitate to risk more money on a card that could potentially be weak. This is why a good check-raise is an effective deterrent in terms of bluffing. A check-raise can come in very useful if you happen to have a very strong hand. This only stands to reason, for your main goal is to accrue as much money as possible during any given round. Still, let’s not forget that check-raising too often is a sure-fire sign that you are holding monster cards. This will scare other players off. It is prudent to use any check-raise in a more passive manner during such situations (particularly if you are playing at a large table). A bit of reservation will keep the others guessing and allow you to further strengthen what could very well be a solid hand. Once again, bluffing is all about strategy. The typical check-raise can also be used during times when you have a weak hand. If you check after a raise, opponents may believe that your cards are much stronger than they actually are. Although this tends to be a smoke-and-mirrors tactic, it can prove worthwhile when smaller pots are present. Knowing when to check-raise is just as important as knowing why to check-raise. This is a potent bluffing strategy and while even beginners are aware of its effectiveness, many are not certain how it can be employed during an average game. Please keep these suggestions in mind, as they will prove to be invaluable when further honing your poker skills. Winning big in poker isn’t always about the fundamentals of the game, so adding some special moves to your arsenal could be the crucial difference between winning a modest pot and striking gold! Set mining is perhaps the most simple of these special moves to master: follow these simple steps and you could win big. What is set mining poker? Set mining is the practice of putting into play pocket-pairs for the rationale of hitting a set and is only applicable to small pairs, not Kings and Queens. Flopping with a pocket pair can be an extremely useful and powerful hand, as it is disguised well, it is rarely suspected by opponents and has the potential to win big pots for a minimal amount of risk. Set mining provides minimal risk for potentially big rewards, which makes it one of the most desirable and straight-forward techniques to strike gold. The key to succeeding in set mining is understanding that pocket pairs are not all that frequent: for example, you should expect a pocket pair every two orbits. Set mining poker is therefore only used once every two orbits, proving again that it is a low risk strategy for high potential gain. In the event that you get a pocket pair, there is an 11.8% chance that you will flop at least a set and so for set mining a flop is going to be good for you once every 8 times. Although a set mining strategy cannot be used frequently, it is well worth adding to your poker repertoire. It is precisely the fact that flopping sets doesn’t happen so often, that this technique, if applied properly, can be such a lucrative business. As there are such low odds of flopping a set, it is crucial that you master the concept of ‘implied odds’, which means you take into account money that is not yet in the pot but is likely to be. Having a grasp of implied odds is the single most important skill to master, in order to succeed through set mining poker. The implied odds are a result of the strength of your opponents’ hand range and the amount of money that is left behind for post-flop. The more money there is left behind for post flop, the less often you have to stack your opponent for it to be profitable. In other words, the more money left behind for post flop, the more profitable it is for set mining poker. Set mining works best when you’re in position and can call pre-flop with your pocket pairs and has the potential to strike gold against a whole range of hands, be that premium pocket pairs or any other potentially winning hand. Set mining poker also works well against a particular type of opponent: loose and aggressive competitors who are more likely to put money in the pot with a wider range. The key to succeeding in set mining is flopping that all important set, based on the implied odds. This then gives you all three post flop avenues to build a big pot and reap the rewards that you have set up. For example, if you miss the flop, there is only about a 4% chance that the turn is going to give you your set and equally if you miss the turn, the same odds are applied that the river will bring you your set. Flopping your set and the post flop strategy that you pursue is thus integral. If you do hit your set, you need to think about your opponent’s likely hands and build the pot on this basis. Without a strong enough post flop strategy, you will not receive the benefits and big rewards that can be yielded from set mining poker. Set mining is a great way to win big, whilst risking very little. Provided you are deep- stacked and follow the integral concept of implied odds, anyone using this technique can win big today! Though we are all encouraged to maintain our ‘poker face’, poker can be far from a dispassionate game. If we allow our emotions to get the better of us – either in poker or in any aspect of life – things can very quickly go awry. One of the most important emotional disturbances to pay attention to here is poker tilt. Once we notice the dreaded tilt happening, we need to be able to stop it in its tracks. Poker tilt is the name for the buildup of frustration that can occur during a game of poker, and which leaves us feeling confused and unable to make the best decisions for ourselves. This might happen because the game is not going our way, or because the other players are doing their best to wind us up, or simply because of something upsetting or frustrating that is occurring in our personal life which we have been unable to leave behind us as we play. 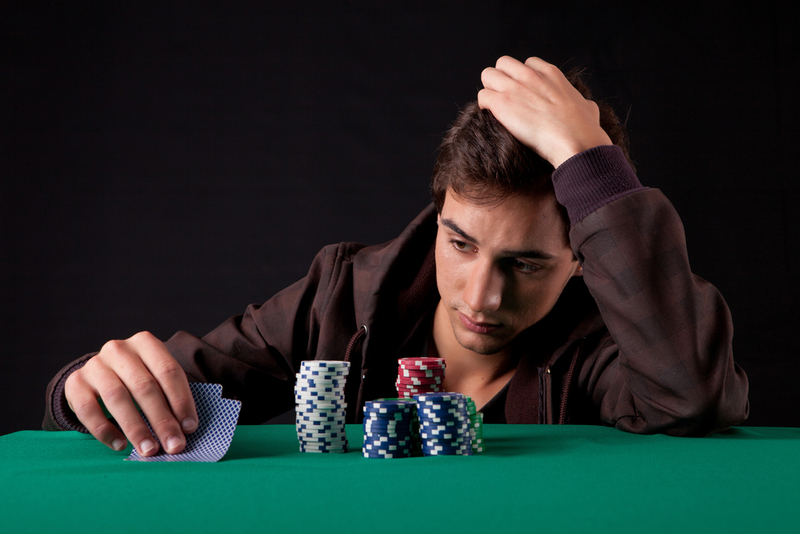 Poker ’tilt’ happens when this frustration gets the better of us and starts to affect our poker strategy. In other words, poker tilt means playing badly (and probably losing money unnecessarily) due to feelings of annoyance and frustration. Poker tilt and poker steam are often conflated, however they are in fact two different things. Poker steam is similar to poker tilt, but rather than revolving around feelings of frustration it involves feelings of anger and aggression. Someone suffering from poker tilt might get annoyed and feel stuck in a rut, losing their focus and making bad decisions as a result. A gambler afflicted by poker steam, however, will become angry and aggressive and could even get verbally abusive and violent. Have you been suffering from poker tilt? You can stop it if you want to, by bearing the following three points in mind. Poker tilt can sneak up on us unawares. It is natural to feel annoyed if we were not dealt the optimum hand or if we wagered a little too much on a given round. Ideally, these emotions will be transient and we will be able to control them when we want to. Nevertheless, it is crucial to be able to recognise when these emotions are building up and becoming a problem. Check in with yourself regularly during a game – how do you feel? Are your emotions making you confused? Are you trapped in a frustration-motivated ‘brain fog’? Or, is everything ok at the moment? Stopping tilting in poker will be so much easier if you know what triggers it in the first place. Is it related to the irritating behaviour of a particular player, for instance? Or, does it usually occur when you feel tempted to fold? When one of these identifiable’trigger situations’ happens, you will be prepared to stop tilt before it has even begun. It can be hard to think about how to cool down when you are feeling flustered. The best way to halt tilting in poker is to have a strategy already thought out, so that when you feel the tilt starting to take hold of you, you can just apply your strategy and regain focus and tranquility. There is no one size fits all approach: everyone is different, so find out what works for you! Some useful strategies for calming down include breathing slowly and deeply, counting to 10 and back down to 1 again in your head, grabbing a drink of cold water or alternatively a comforting hot drink, and telling yourself ‘stay calm’ several times in your mind. Has tilt really got you in its grip? Has your tilt even turned into steam? Many people have anger management issues, and if you are having a real problem controlling your emotions as you gamble it is definitely worth while talking to someone (such as a friend, your partner, or a counsellor) and perhaps even taking an anger management course. Why lose money and spoil what should be a fun game of poker due to poker tilt when you could start solving the problem today?